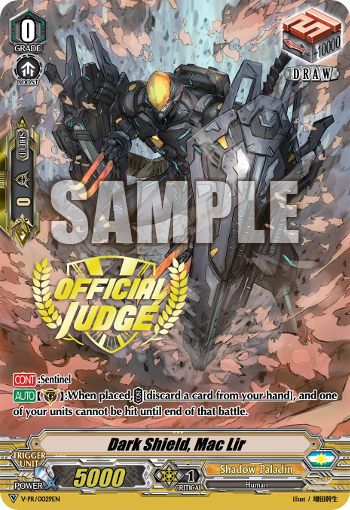 Dear Cardfighters, the use of V-PR/0029 in upcoming official Bushiroad tournaments would only be allowed after the release date of VGE-V-BT02, 19th Oct, 2018. We thank you for your continued support and hope you will continue to enjoy playing Cardfight!! Vanguard.